But Tales, you may be thinking, how can it be time for the Tales Tweet of the Week when the week is just beginning. Well, my friends, the Tales, in consultation with the Tales law firm, Dewey, Cheatem and Howe, has determined that there cannot possibly be another tweet this week as good as this one. Either that or we are becoming lazy here at the Tales. We report, you decide. So, without further ado we'd like to announce the winner of the prestigious, much sought after award. 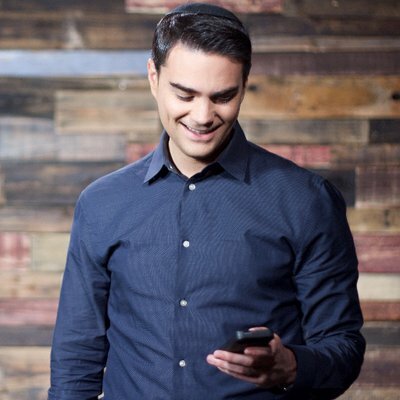 Having met the stringent requirements of this award [i.e., it must be a tweet on twitter], and having been voted on by the Tales and it's law firm [in a vote of 1-0 with 3 abstentions], we congratulate Ben Shapiro as the winner of this week's Tales Tweet of the Week. The great Ben Shapiro may be a first time winner of this award but he almost assuredly wont be a last time winner. This is not hard. When Trump does good things, praise him. When Trump does bad things, condemn him. Basic decency is not tough. Today in Good Trump/Bad Trump: Good Trump: Regulatory reform, Gorsuch, Heather Wilson. Bad Trump: Anti-trade moves without alternatives.